While on the Ocean City Boardwalk in New Jersey, we knew a must-stop was for The Original Kohr Brothers Frozen Custard. This popular frozen confection, sold throughout Delaware, Maryland, New Jersey, and Virginia, is the perfect boardwalk treat! I opted for a Vanilla + Orange Sherbet Swirl. It was so yummy - loved the vanilla + orange combo (I love all things creamsicle-ish!). The Frozen Custard is light and creamy, with less fat and sugar than ice cream. 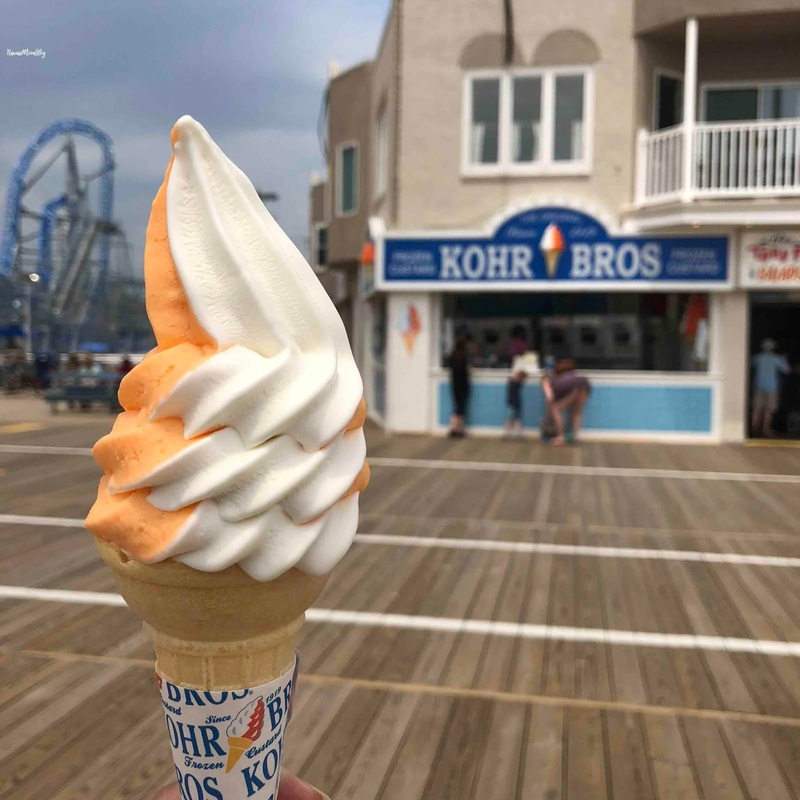 There are several Kohr Brothers shops along the boardwalk, so there is no excuse not to make a stop!